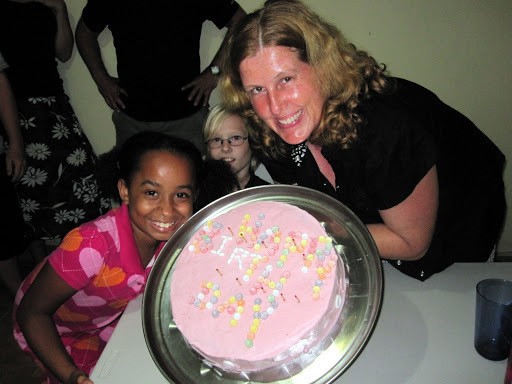 Where else in Haiti post-earthquake can a newly minted ten year old get a cake, piñata and other kids to join her birthday party? Pink icing colored from red jello, Sweet Tarts spelling out Happy Birthday, and matches as candles just can’t be matched by any other cake. Plus it tasted great! ← "I said A Boom Chicka Boom!"